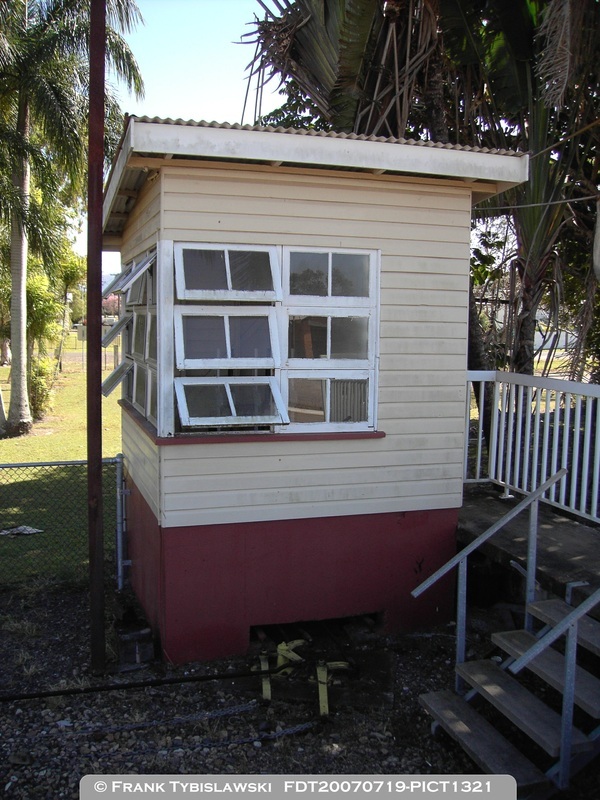 Below are some images and brief details of the remaining signal cabins in Queensland. All are either in use, or potentially available for use however some are not used in day to day operations but are included as they are not officially decommissioned. 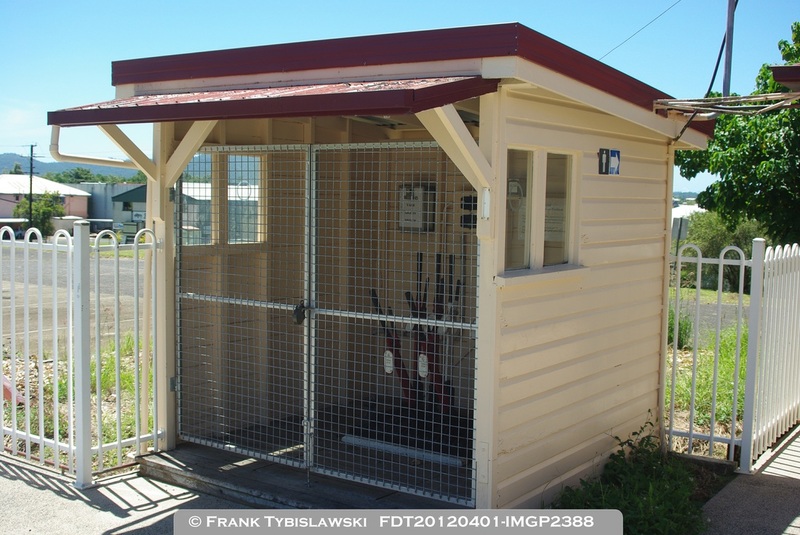 The size and style of cabins still in use is representative of a few types that existed throughout Queensland, however at the height of mechanical semaphore signalling some 155 interlocked signal cabins existed. Ascot: Signal cabin building and lever frame exist in situ however cabin is permanently cut-out with all trains working through on the Main Line only. Has a 30 lever frame. Visible through windows from the station platform. Callemondah Ground Frame: Open signal cabin building and lever frame, operational but rarely used. Lever frame controls a crossover between the Main Line and Callemondah Yard. Has a 5 lever frame, technically classed as a ground frame. Lever frame located within an operational railway yard, no public access. 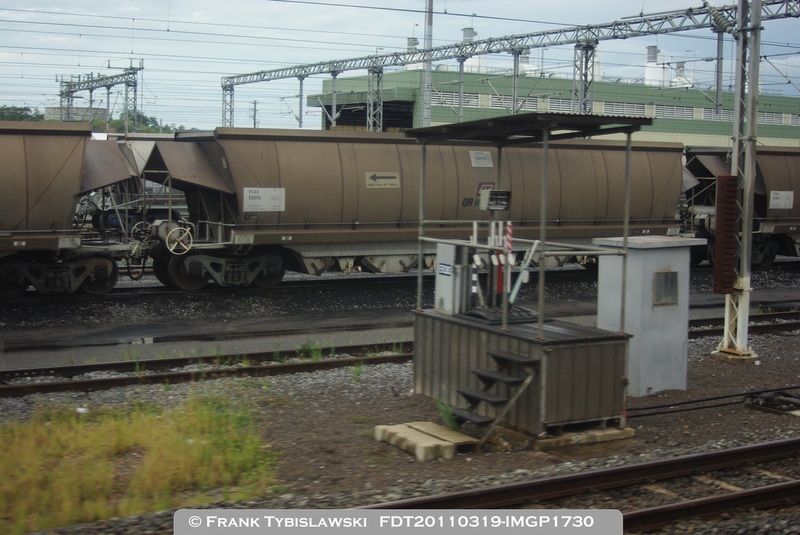 Image taken from passing train. Ingham: Signal cabin building and lever frame at southern end of station platform, operational and used daily to control signals in Ingham yard and the tramway crossing. Has a 7 lever frame. Visible from station platform. 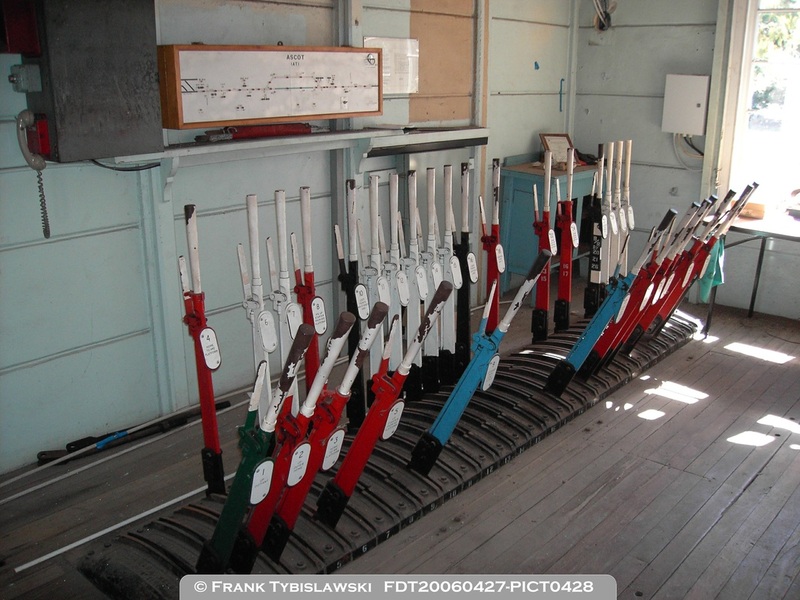 Kuranda: Signal cabin building and lever frame, operational and used daily for train movements at Kuranda. Has a 37 lever frame. Visible through windows from the station platform. Mackay Ground Frame: Open signal cabin building and lever frame at northern end of yard, used daily when trains are shunting to access certain sidings within yard. Has a 10 lever frame, technically classed as a ground frame. Visible from adjacent road overpass or outside railway property.